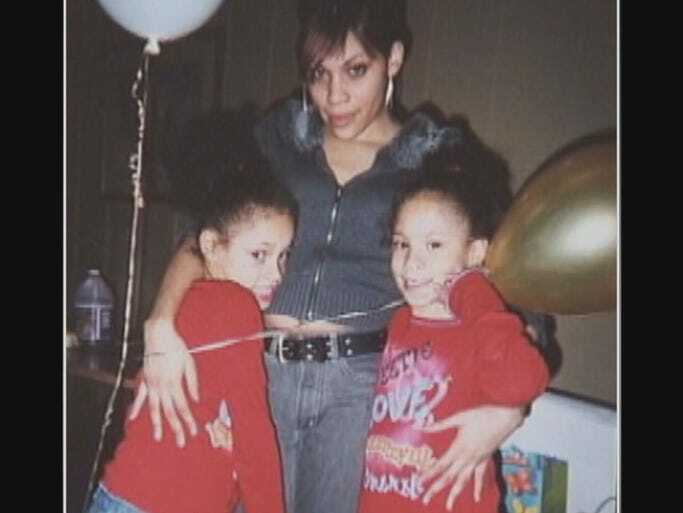 16 year old Jasmiyah and her twin sister Tasmiyah Whitehead Murder Their Mother, Jarmeca “Nikki” Whitehead, 34. Update: Jasmiyah and Tasimyah Whitehead are serving 30-year prison sentences after confessing to the brutal murder of their mother. Meet 16 year old Jasmiyah and her twin sister Tasmiyah. The two girls reported the murder of their mother back in January, but have recently been arrested and charged with the murder! On Jan. 13, Jarmeca “Nikki” Whitehead, 34 (pictured above), the mother of the two girls, was stabbed multiple times and beaten. The twins claimed they arrived home from school that day and found their mother stabbed to death in her Conyers home. Days after the beautician was killed, investigators announced they were looking for “persons of interest” based on witness descriptions but none turned up and after several months of investigations, her daughters, Jasmiyah and Tasmiyah, are now believed to have killed the woman. Sources close to the case say that the daughters were recently upset after being placed back in the custody of their mother after being raised by their Grandmother for years, which may have been a motive for her slaying. The mother’s boyfriend of 10 years, Robert Head, said that he wasn’t surprised by the girls’ arrests, although he also said he felt it wasn’t the twins’ idea to kill their mother, speculating that they may have been coerced by a family member and possibly bribed. Authorities announced Friday that they have charged the victim’s twin daughters, Jasmiyah and Tasmiyah, and said that the 16-year-olds will be tried as adults. One teen was arrested at a relative’s home in Clarkston, the other was arrested at Tucker High School. Both were denied bond at their first court appearance Friday and are currently being held at the Rockdale County Jail. Re: 16 year old Jasmiyah and her twin sister Tasmiyah Whitehead Murder Their Mother, Jarmeca “Nikki” Whitehead, 34. Update: Jasmiyah and Tasimyah Whitehead are serving 30-year prison sentences after confessing to the brutal murder of their mother. This case has been stalled in the courts for a couple of years now. I'm beginning to wonder what sort of evidence the state has, for them to be taking so long. This apparently was a very brutal crime. The mother was stabbed in the back several times and bludgeoned as well. When the police searched the home, they found two outfits belonging to the teens in the dryer...like why would they only wash 2 outfits on the day of the murder? Neither girl spoke at the mother's funeral nor did they approach the casket. The ME believes there was more than one attacker but it isn't clear what he bases his opinion on. Also, the mother had been bitten pretty severely. Dental impressions were taken from both daughters. There is no court date scheduled for these defendants. They will both be adults by the time they go on trial. Thanks, LoudMouth (love your user name. LOL!) I had forgotten about this case..w/put a "google alert" on it. Wonder what is taking the courts so long??? I had forgotten about this case too but it was on NG this week (or last week maybe) and as LoudMouth said it was described as very brutal! Yes for the update LoudMouth (love the name too!). Jasmiyah and Tasimyah Whitehead confess to killing their mother. CONYERS, Ga. -- It was almost exactly four years after the murder. The once fragile-looking 16-year-old twins -- now aged and hardened by incarceration -- give police yet another version of the story. Only this time, it's not another denial. It's a confession. Jasmiyah and Tasimyah Whitehead are serving 30-year prison sentences after confessing to the brutal murder of their mother. The Whitehead twins initially denied any involvement in their mother's death.The twins initially claimed bite marks had come from a fight between them. The twins had cuts on their fingers, which they claimed had come from a fight between each other. Jasmiyah had expressed anger with her mother in a letter to a friend. . The Whitehead twins initially denied any involvement in their mother's death. One of the twins breaks down during questioning. Jasmiyah and Tasmiyah Whitehead Lt. Chris Moon interviewed Jasmiyah Whitehead, who confessed to killing her mother. Tasmiyah Whitehead confessed to killing her mother with the help of her twin sister. Lt. Chris Moon interviewed Jasmiyah Whitehead, who confessed to killing her mother. 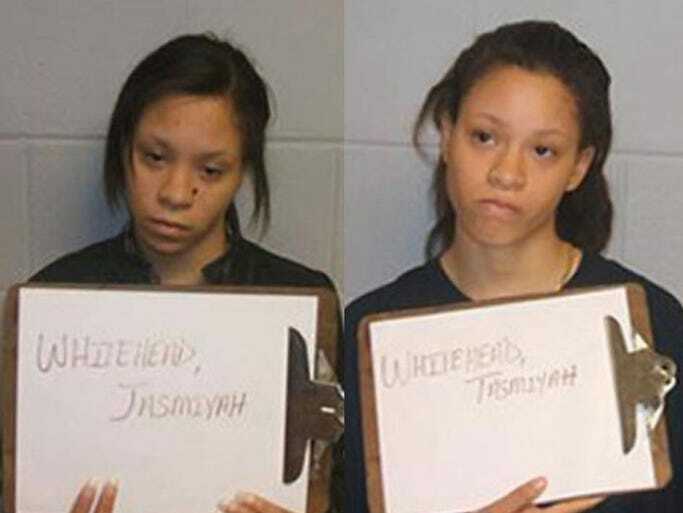 Jasmiyah and Tasmiyah Whitehead were charged in the death of their mother. Under the plea agreement, the twins were sentenced to serve 30 years. "My state of mind at the time was defend yourself. It wasn't like a fight on the street, it was more like a fight until somebody dies," said Jasmiyah Whitehead in her taped confession. In chilling detail, the twins described what really happened the morning of the murder. It started with a fight with their mother in the kitchen after waking up late for school. "You're late for school, you're not going to do what you want to do, you have to live by my rules," recalled Rockdale County District Attorney Richard Read. The twins say their mother began threatening them with a pot from the stove. "She just started waving the pot around things like that whatever so I guess she was trying to hit us with the pot," said Jasmiyah. The twins claim they wrestled the pot away from her, but it was the start of all-out brawl. "Was your mom yelling," asked Read. "We all yelling, we all mad. Somehow, someway I don't know where she got it from, I don't even remember a knife block but she has a knife," said Jasmiyah. "I had took the pot from her, that's when she grabbed the knife and said get back but she didn't keep the knife in here hand," added Tasmiyah. The combat moves to the living room and gets more intense. Jas breaks a red vase over her mother's head -- the first sight of blood. Her mother fought back. "So my mom is winning the battle with the knife or whatever, so I pick up the pot and hit her with the pot," said Tasmiyah. "She bit me in the chest and like I said, I'm not that that big so when she bit me she latched on to me and I tried to get her off because it hurts so I'm trying to punch her, I guess that then Tas stabs her. She stabbed her," said Jasmiyah. After more fighting, Jas says at some point she begins to choke her mother with a ribboned medallion she won as a child. Her mother delivers a swift backhand blow that catches her by surprise. "So I think I was stunned. Then I picked up the knife and I think I stabbed her but they wasn't cuts like they wasn't deep because I couldn't bring myself to do it," said Jasmiyah. After all the biting, punching, screaming and stabbing, the twins drag their mother in to the bathtub. Neither can really explain why they did. Read: So you had her hands? Tasmiyah: I think I was at the top. Read: And Jas had her feet? Tasmiyah: Yes, she was heavy. Read: And so what did y'all do? Jarmecca Whitehead was in the tub and was still alive. The twins both recall her talking to them as she was dying. Read: What are you saying to her? Jasmiyah: I'm sorry, I told her I was sorry not just sorry for things but sorry for everything that we couldn't get along and stuff. A few minutes later the twin claim their domestic troubles with mom would be permanently over. "She went under a couple of times and that was it," said Jasmiyah. "When that was it -- I'm going to use your words-- when that was it what did you and your sister do," asked Read. "I guess we were just shocked. We couldn't believe what we did. We cried, we cried for a long time. We argued a bit," said Jasmiyah. But then the girls collected themselves. After trying to clean up some, they thought it best to leave the crime scene and head to school. "We got her purse, cell phone and got the knife and the pot and put it in a plastic bag," said Jasmiyah. The girls admit that when they returned, they expected the police would be there and their mother would not. The sight of what they had done was a shock. "Just really wish it didn't happen like that and I wish I could have solved something. I do I wish…sorry...It was just confusion and turmoil and it never stopped," cried Tasmiyah. The girls claim they wished they would have called police during the fight rather than hours after the murder and been truthful from the start. They wish they still had a mother. "I'm sorry and I miss her. It's not how ya'll are trying to make it seem. I didn't hate her. And Tas didn't hate her either. I guess it was just the heat of the moment and the anger between all three of us," said Jasmiyah. Please click on the above link for video and more...OMG! !